Creamed honey, sometimes also referred to as whipped honey or churned honey, is one of our favorite ways to enjoy the nectar from our colonies! Through a meticulous process, we create the best creamed honey right here on our farm. Made with our own raw honey and 100% natural flavors, we know that it will quickly become your favorite spread. Unlike our raw honey, which is unheated, our creamed cinnamon honey is made by warming honey for several hours, until all of the granulation has slowly melted away. 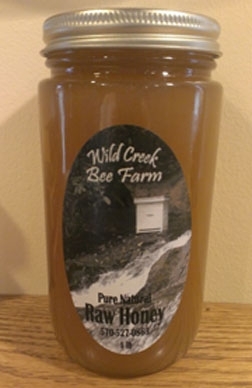 Once the honey has cooled to 90 degrees, we add finely crystalized honey to the liquid honey, and blend it. Over several weeks, the honey granulates into very fine crystals, creating an icing-like texture. The final step is to mix with top-quality powdered cinnamon to create a unique flavor profile. Don’t just take our word for it – try some for yourself today!